This section of the Policy is actually for explaining some of the implications of participation with both the Facebook platform, applications on the Facebook Platform, and various websites not previously related to Facebook that have made deals (of which we know nothing about the terms) with Facebook. This brings up the “Open Graph” Facebook launched about this time last year, but we’ll cover that beast in detail in a later post. Look above at some of this text – the key is to look for short, all-inclusive words that give others large scale access to information. Your friend can grant applications on Facebook access to every bit of information they can see about you, whether they know they’re doing so or not. The agreements Facebook has with application developers requires they respect the limits imposed on them… they don’t really have to. When your friend visits pre-approved sites, the site gets information about you. Wait… WHAT?? Why? Well, because they can. To serve personalized advertising to you. We don’t share your information with advertisers without your consent. (An example of consent would be if you asked us to provide your shipping address to an advertiser to receive a free sample.) We allow advertisers to choose the characteristics of users who will see their advertisements and we may use any of the non-personally identifiable attributes we have collected (including information you may have decided not to show to other users, such as your birth year or other sensitive personal information or preferences) to select the appropriate audience for those advertisements. If you’re not nervously looking over your shoulder by now, go get some caffeine and come back. You’re obviously asleep. Let’s start with the one above about using information you’ve gone through measures to keep private being used to sell targeted ads. Oh, that must be why I only see information about engagement rings and family planning services – even though no one on Facebook can see my birth year. To serve social ads. We occasionally pair advertisements we serve with relevant information we have about you and your friends to make advertisements more interesting and more tailored to you and your friends. For example, if you connect with your favorite band’s page, we may display your name and profile photo next to an advertisement for that page that is displayed to your friends. We only share the personally identifiable information visible in the social ad with the friend who can see the ad. To make suggestions. We use your information, including the addresses you import through our contact importers, to make suggestions to you and other users on Facebook. For example, if another user imports the same email address as you do, we may suggest that you add each other as friends. Similarly, if one of your friends uploads a picture of you, we may suggest that your friend tag you in the picture. We do this by comparing your friend’s pictures to information we’ve put together from the photos you’ve been tagged in. If you think you’re safe in the masses on Facebook, think again. Complex algorithms are in place to leave no corner un-crawled and no data set un-analyzed. 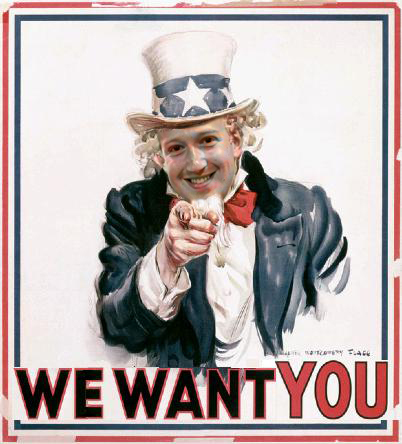 Any information you connect with Facebook is actively used to add density to the Facebook network (and yes, dollars to Zuck’s pockets).